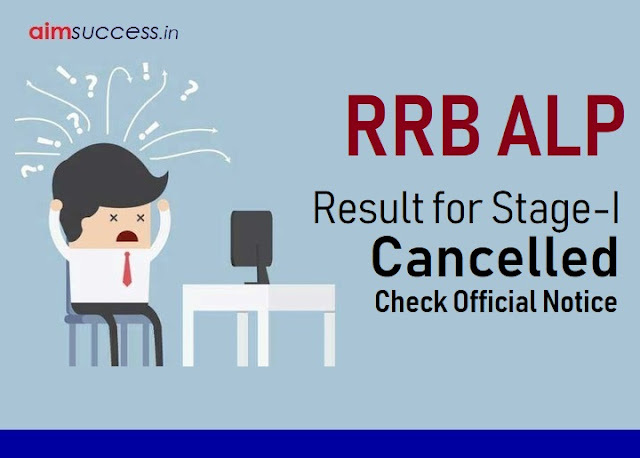 RRB has postponed the examination date of Railway ALP 2nd Stage.With this ALP Stage I Exam Result 2018 also Cancelled. RRBs have decided to review the answers of all the questions. RRBs have received certain representations from the candidates raising issues on answer keys and translation in few of the questions. In response, RRBs have decided to examine all such issues afresh. 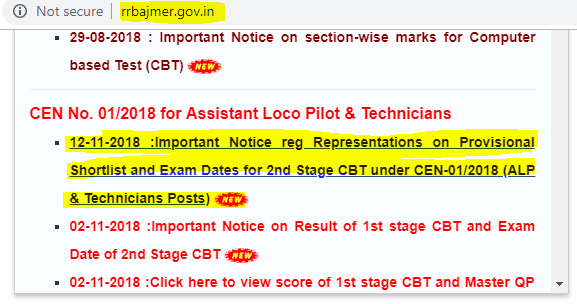 The revised answer key will be made to all the candidates soon along with their revised score on their candidate login. Accordingly, the revised list of the shortlisted candidates will be prepared causing delay in the recruitment process.